Canadian Daily Deals: Swagbucks - Get great deals when shopping for home decor! 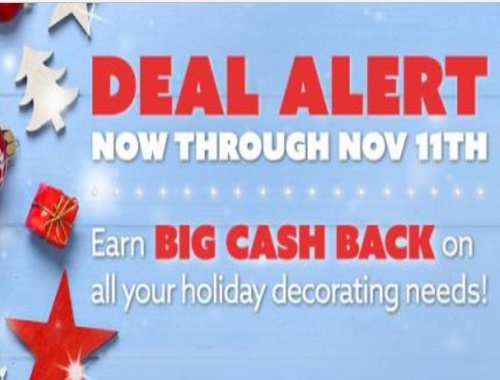 Swagbucks - Get great deals when shopping for home decor! Now that the holidays are in full gear, a lot of people are already getting started on decorating their homes for the season. If you're in that same boat, you can get great deals and cash back for shopping through Swagbucks! Just go here and see all of the great cash back you can get from some of your favorite stores. As an extra bonus, if you're not a Swagbucks member and join through my link here (or you've joined through my link this month), you'll get an one time 200 SB bonus when you spend $25 or more in any of the Swagbucks Shop stores before December 1! Swagbucks is a great site where you earn SB points for doing every day things online like shopping, discovering deals, taking surveys, watching videos, searching the web, and more. The SB you earn, the more gift cards you can get, which are a HUGE help this time of year.